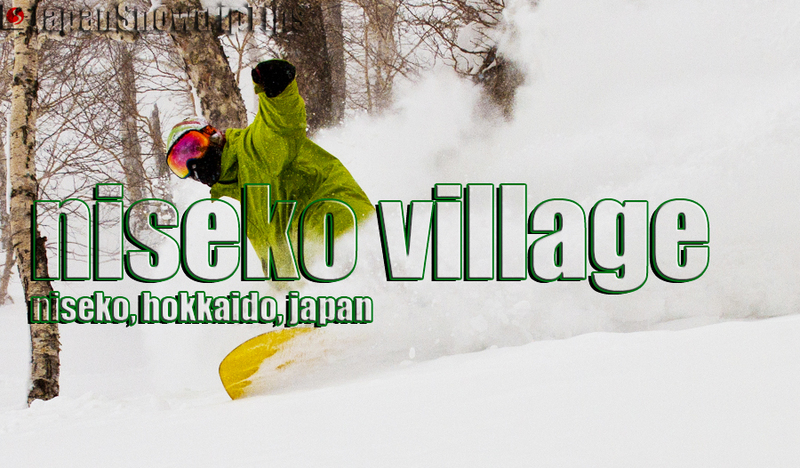 Summary: In case no one noticed, Niseko Village isn`t really the "village." 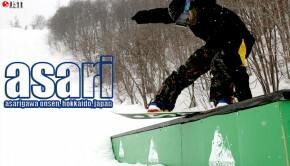 Hirafu is Niseko`s true village with night-life and off-slope action, but in the end we don`t care. Long top-to-bottom trails, fun easy access off-piste stashes, excellent self-contained ski hotel, convenient lift infrastructure and less crowds than neighboring Hirafu make Niseko Village a great under-appreciated piece of the Niseko United complex worth discovering. Deathstar pow pockets? You might be wondering what the hell we`re smokin`in our Yoda-shaped bong. Nothing (if the cops ask), but all you need is one look at the Hilton Niseko Village hotel at the base of Niseko Village Ski Area and you`ll understand. Our affectionately named “Niseko Deathstar” is actually an award-winning, futuristic-looking 4-star lodging complex that serves as the epicenter of the ski area`s amenities including multiple excellent eateries, bars, ski rental/repair/storage facilities, ski & snowboard school, indoor/outdoor onsen, gift shop and pretty much everything you need for a self-contained multi-day ski holiday in Niseko. But what about the pow pockets above the Deathstar? Accessing the goods won`t take any Jedi mind tricks as the main gondola rises almost directly outside the hotel`s back-door. After you`ve reached the top, a bit of Jedi-like agility is recommended as the on-and-off piste options at Niseko Village can be challenging — albeit manageable by varied skill levels — alternating between steep sections and mellow plateaued areas. Niseko Village gets a bit lost in the Niseko United carousel revolving primarily around neighboring Grand Hirafu and Hanazono on the opposite side of Mt. Niseko Annupuri. But on a blower Hokkaido pow day, Niseko Village Ski Area can offer a surprising escape from the Australian storm-troopers tracking-out the other United ski areas and keep you smiling from faceshots for most of the day. Skiing and snowboarding on-piste at Niseko Village Ski Area is a bit narrower and more limited compared to other Niseko United slopes, however the fun-factor is high for beginners to advanced sliders alike. Novices can weave their way down Green trails from the top, but will feel much more comfortable learning on the unimposing, wider, lower portion of the ski hill utilizing the Banzai Chair (far to skier right of ski area) or Community Chair conveniently accessed just to the left outside the rear hotel doors of the Niseko Hilton. Intermediate/advanced skiers & boarders will enjoy the speediness of the pisted terrain, however, you`ll need to be prepared for a couple of flat sections on the way down. The mountain rolls itself into plateaued areas potentially requiring unstrapping for boarders if the snow is extremely deep, which is a distinct possibility in a place receiving some of the world`s most abundant seasonal snowfalls. You might have noticed an *asterisk next to “Off-Piste” in our Niseko Village star rating summary. At face value, Niskeo Village Ski Area offers some tantalizingly steep, gladed terrain that will make the most experienced riders start twitching on the mechanized way up the hill. Pow days here have the potential to easily reach the “epic” category. 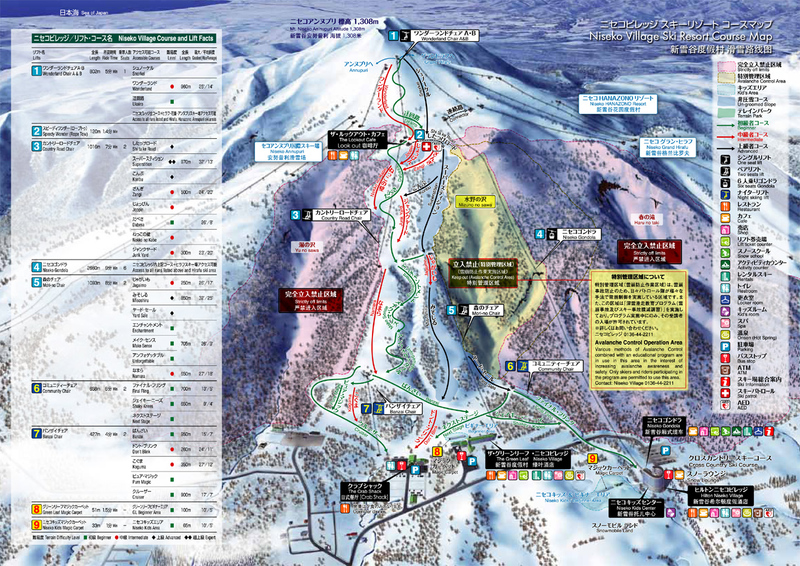 But ski area management (following an avalanche more than a decade ago that caused fatalities) adheres to a strict “look but don`t touch” policy when it comes to much of the best off-trail options located on either side of the marked boundaries among the powder-perfect glades and gullies. 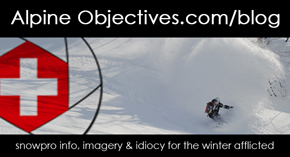 Check our Snowtrip Tips section below for info on how to circumnavigate this annoying powderplay problem. The legally accessible off-piste terrain is for us, pretty limited (much like the pisted trails), as the resort is smaller than surrounding Niskeo United ski fields. But the tree-lined pockets just off the marked trails are great fun and as tons of snow accumulates on the pistes (i.e., Superstition Trail), you`ll generally have no problem finding your fill of faceshots within the marked trail system. Niseko Village is such a self-contained universe that it can seem like huge crowds are gathering for an assault on the deep pow up top, but it`s a bit of an illusion. Even during busy holiday periods when the “4-star Deathstar” is filled-up, you`ll generally have fewer crowds on the slopes as skiers/boarders tend to dissipate among the other three Niskeo United Resorts, reducing the number of people cramming together on the relatively narrow Niskeo Village trails. Outside of holiday periods, Niseko Village can really offer a nice respite from the wild Hirafu nights while still providing near-by access to on & off slope excitement in the other resorts. With such a limited trail system, clearly there is no need to clutter the mountain with un-sightly lift towers. Niseko Village does a pretty good job of minimizing its lift-system — 6 lifts: five single-seat, one 4-seat gondola — and gets you to where you want to go with relative convenience. Could the lift-system be further minimized and made more effective? Yes, but the same could be said of too many Japanese ski resorts to list. The main, Niseko Gondola eggs located just behind the Hilton Niseko Village does a nice job of taking skiers & snowboarders to an elevated spot requiring only a short single-seater ride to the highest lift-accessed point (via Wonderland Chairs A & B). From there you can enjoy the fun top-to-bottom Niseko Village ski area descents, slide directly across to Niseko Annupuri (skier right) or head to Hirafu via connector lift (skier left). No need for many words…big blower pow days await at Niseko Village. Statistically, neighboring Grand Hirafu gets more snow but a Niseko pow day is pretty much a Niseko pow day no matter which Niseko United ski resort you`re shredding. The *asterisk next to “Off-piste” in our star rating summary above refers to the Yu no sawa and Mizuno no sawa zones that really disrupt the powder potential of Niseko Village for hard-core pow junkies. These zones are strictly monitored and could result in loss of your pass, ski holiday riding privileges, monetary fines or even criminal prosecution. But Niseko Village ski patrol aren`t evil pow-protectors, they`re just doing what they feel is the best way to provide security within their ski area boundaries. They also seem to understand that preventing pow exploration in the excellent terrain within these off-limits riding zones is cruel and unusual punishment for powder addicts. To lessen the shakes and withdrawl symptoms, a special program has been set-up that authorizes certified participants to access the Mizuno no sawa area for 5 weeks in January & February. You`ll need to attend a safety class, pay ¥1500 and wear a neon vest or arm band, but it`s a small price to pay to gain avalanche awareness info and even smaller price to pay for uninhibited rights to pillage the perfect pow-pockets inside this normally forbidden riding zone. We jokingly call the Hilton Niseko Village, “the Deathstar,” for its unique architectural style. But it`s no joke that it was voted Japan`s #1 ski hotel by the World Ski Awards in 2014. If you`re looking for a self-contained Niseko skiing & snowboarding holiday, the Hilton Niseko Village gets our recommendation for one of the best all-in-one Japan snowtrip solutions for slopeside accommodations. Families, business travelers and one-stop-shop snowtrippers looking for a convenient on & off-hill package will enjoy staying in Niseko Village. You have every amenity to keep you occupied…unless hoppin`nightlife and larger on-hill options (i.e. 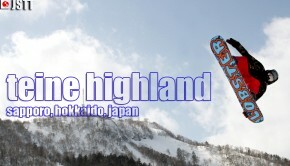 trails & lifts) in the heart of Niseko is more your style. If that`s the case, finding a spot in the true village of Niseko — Hirafu — is your best bet. You can get a taxi from Niseko Village for a night out on the town at one of Niseko`s great Hirafu restaurants, bars or clubs. Otherwise, if you prefer staying closer t o the action, we definitely recommend the super stylish and amazingly affordable luxury Kizuna Apartments in the upper-Hirafu Village within easy walking distance of the wide slopes at Niseko Grand Hirafu. Niseko Village offers great powder potential and with the option to purchase the Niseko United Pass for skiing & snowboarding access to all four Niseko resorts, you`ll have a great time exploring within the boundaries. But if hiking peaks, hopping outside the ropes and delving into the deepest of the deep in and around Niseko is your goal, then you`ll want to hook-up with backcountry guiding pros, Hanazono Powder Guides. 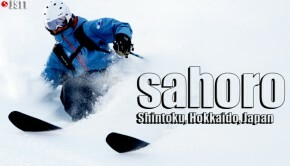 It`s too inconvenient to get to Hanazono Resort from Niseko Village by public transport or via up-down-up-down ski connections, so we recommend hiring a taxi for around ¥5000 one-way to make sure you`re the lucky ones to get early morning first tracks with HPG before everyone else. We strongly recommend all visitors traveling to Japan who intend on using trains & buses as their main mode of transportation to benefit from perhaps the planet`s greatest tourist transport offer, the JR Pass. But if you plan to stay solely on the northern Island during your pow-quest in Japan, consider buying a Regional JR Hokkaido pass. Otherwise, the National JR Pass is so affordable, why not leave yourself the option to travel freely across the entire country from north to south? 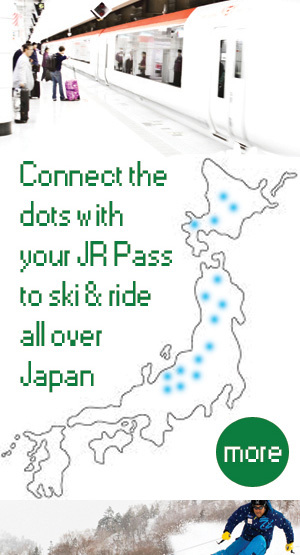 Either way, the JR Pass is a Japan snowtrippers best friend if you don`t have a car.